A working one-day meeting between experts from Sofia Municipality and the State Environmental Inspectorate of the former Yugoslav Republic of Macedonia was held in Sofia on Friday. Both sides had a discussion over the current implementation of the AIRTHINGS project. Darko Blinkov (PP6), Teodora Polimerova (PP1), Emilia Stoynev (PP1), Mariana Georgieva (PP1) and Kremena Georgieva (PP1) discussed over different administrative procedures, exchanged good practices and know-how. 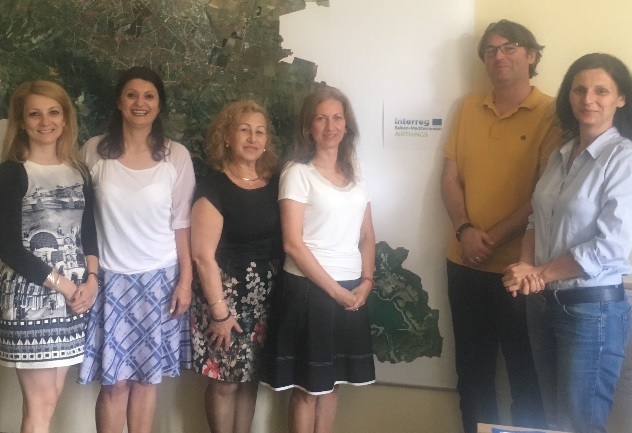 At the end of the day, all experts met with Deputy-Mayor on Environment in Sofia Municipality – Ioana Hristova (PP1) and pointed out all forthcoming tasks in the AIRTHINGS agendas of both project partners.